How a phone screen display size is measured? 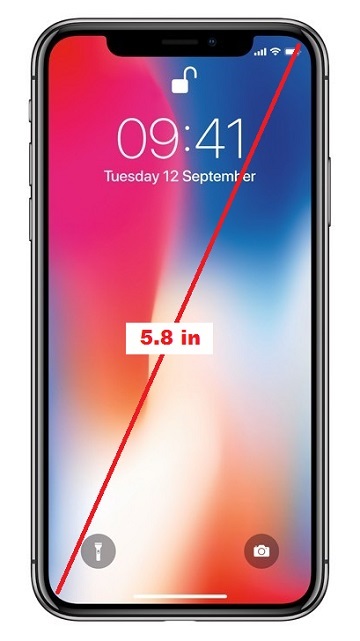 What does a 5.8 inch (150 mm) phone screen mean? Cell phone screen display size is measured diagonally on the display area, and normally given in inches. The standard screen sizes of cell phones available today can be anywhere from 4 inches to 6 inches diagonally. Of course, a phone with a bigger display size is better.